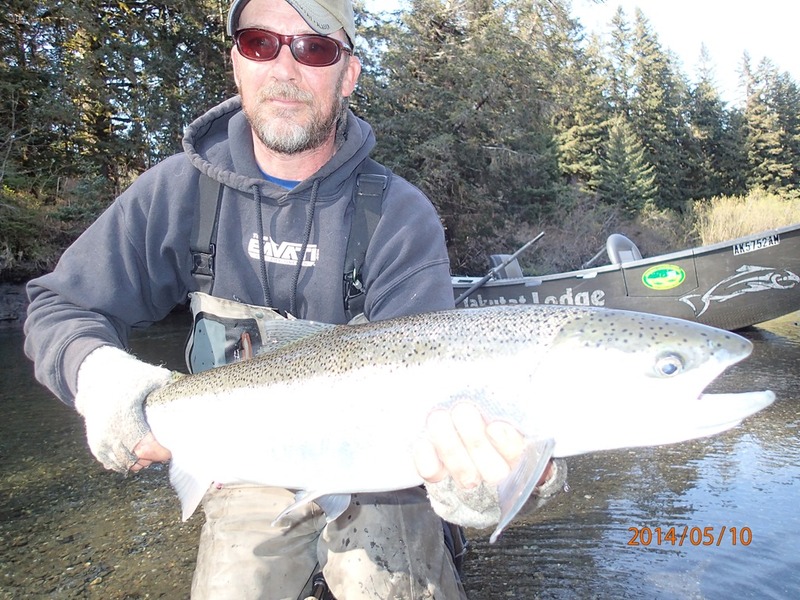 Steelhead over, but ocean and reds are hot!!!! 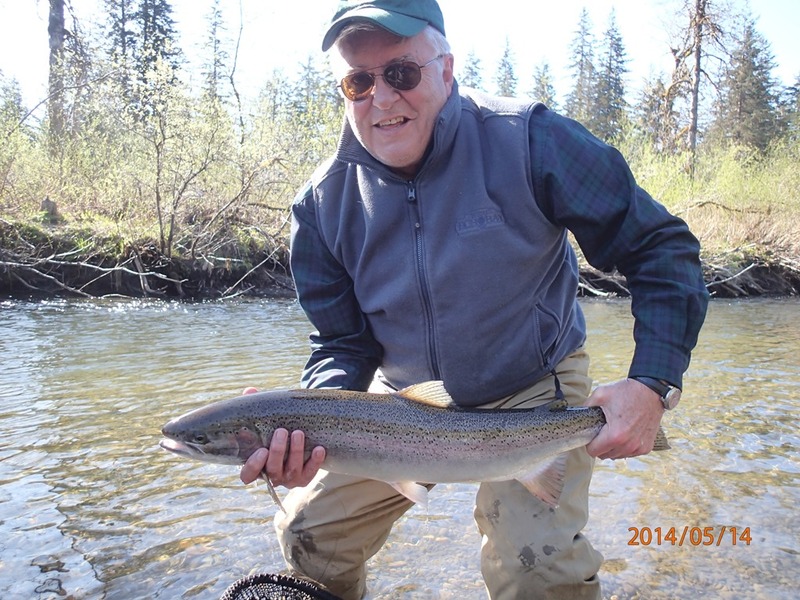 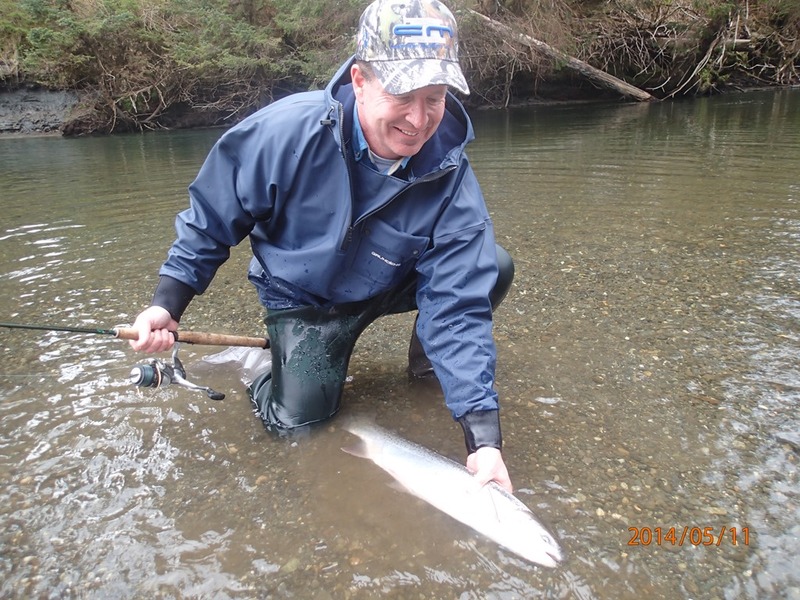 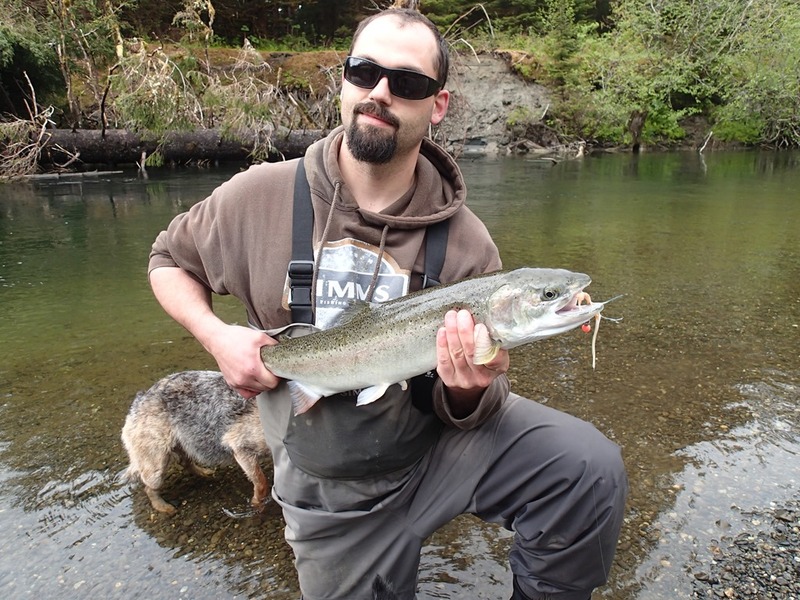 Well the Steelhead season is over now, with only a few stragglers left to play with. 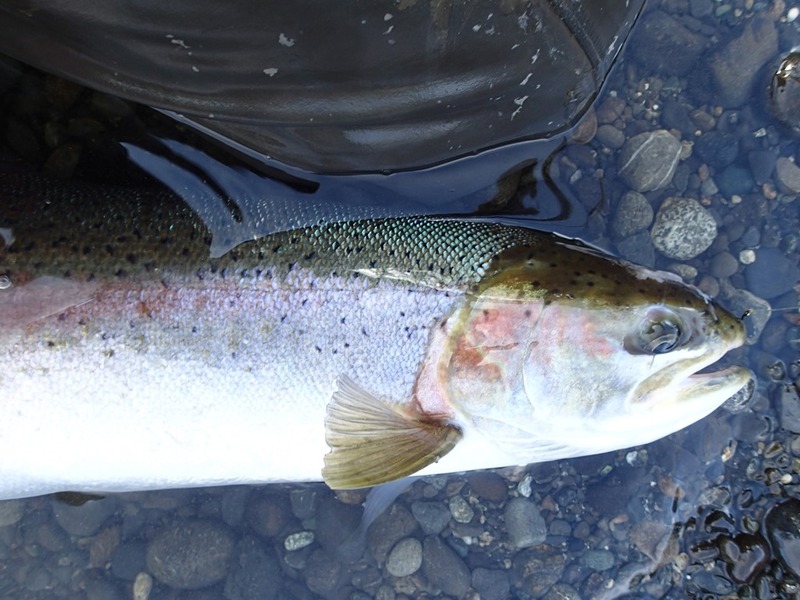 Nearly 6,000 for the year. 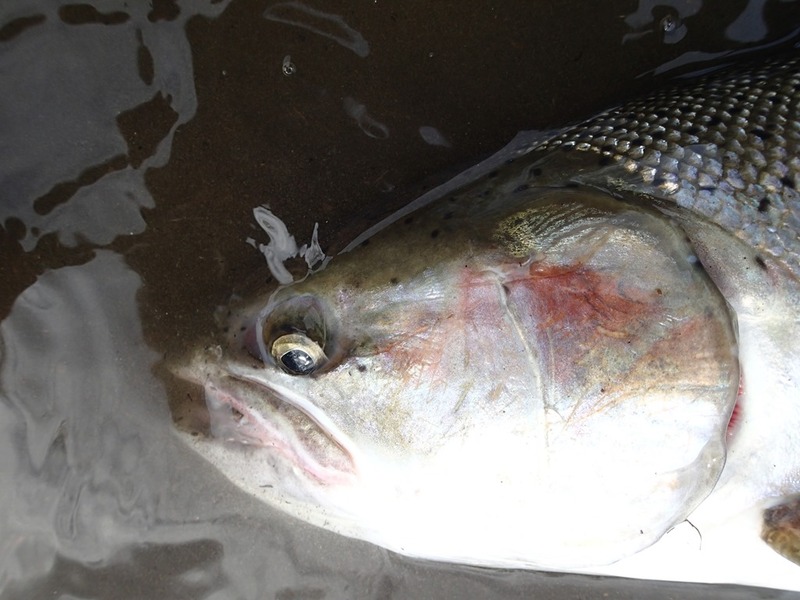 Reds are showing up now, with 1,000 fish over the weir last night, and also 5 big kings. 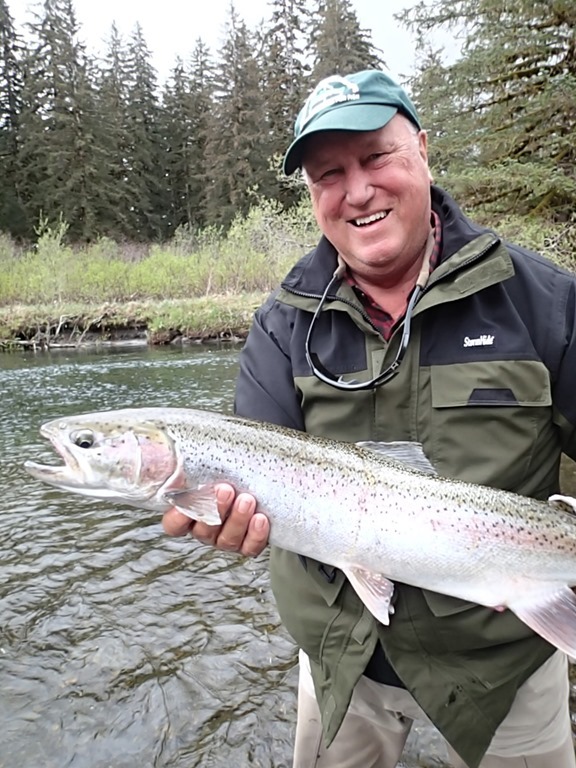 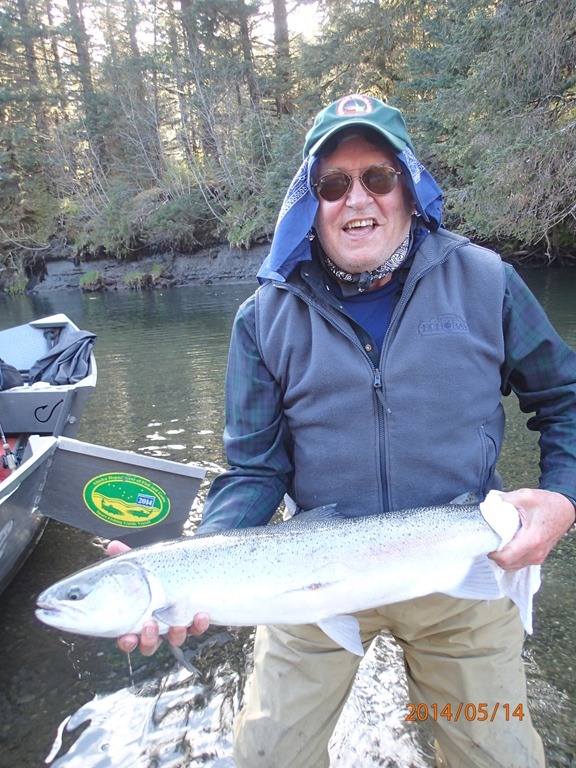 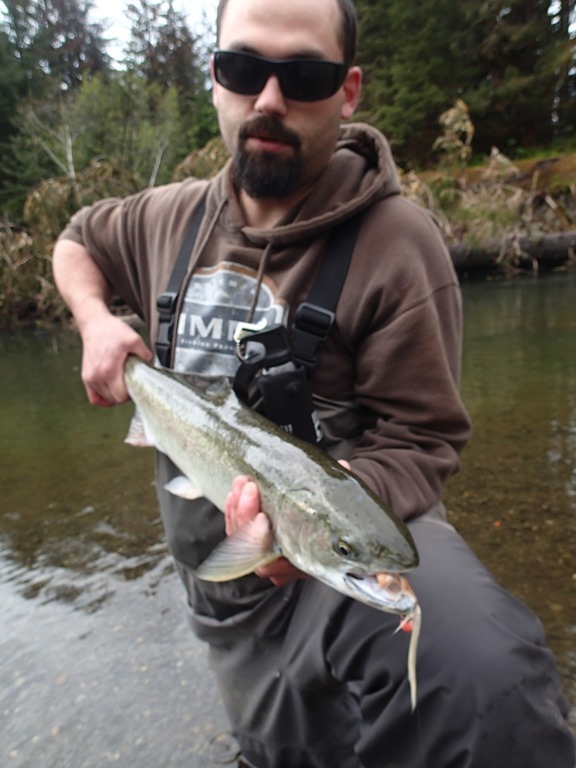 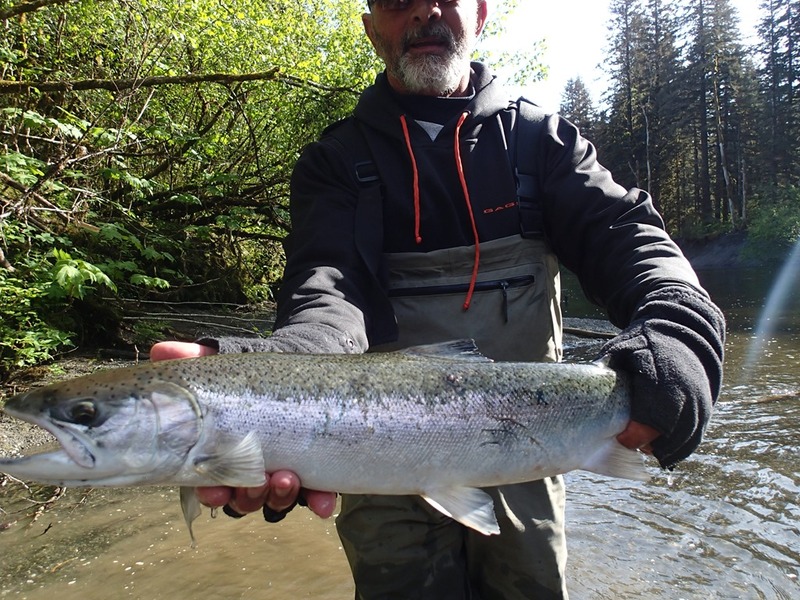 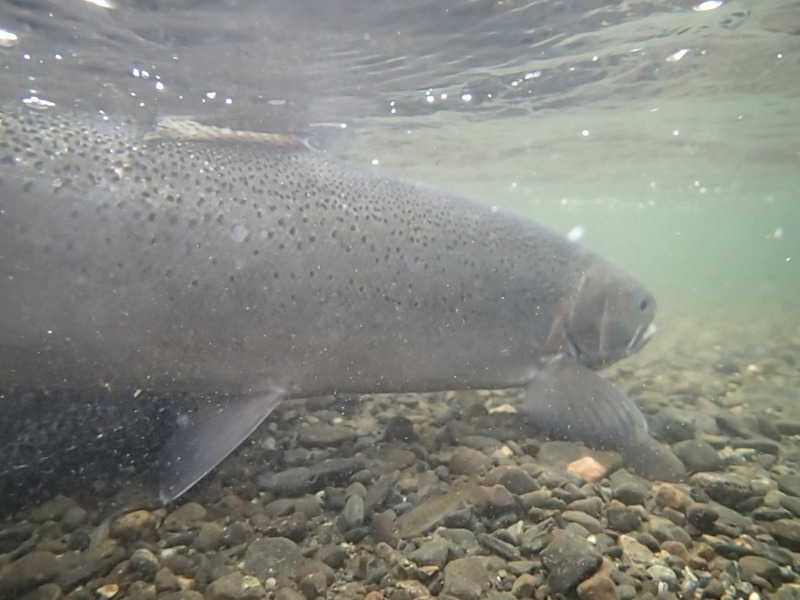 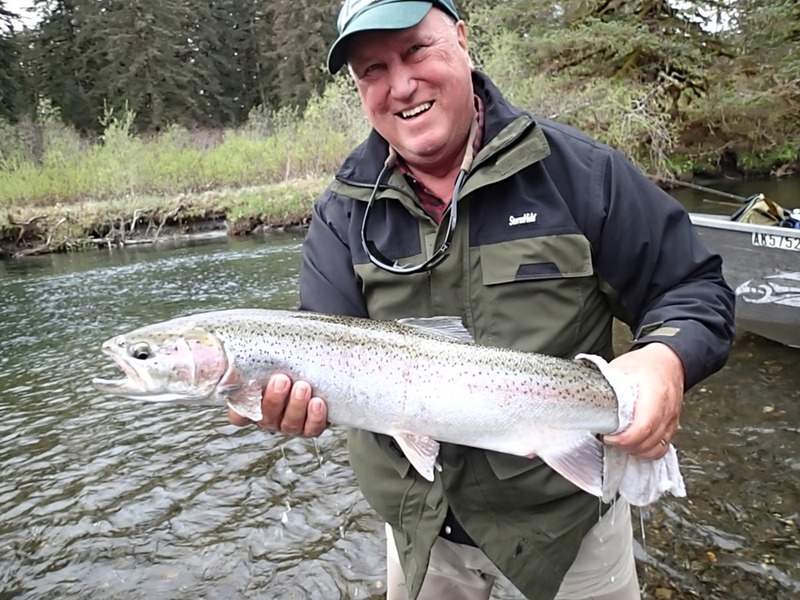 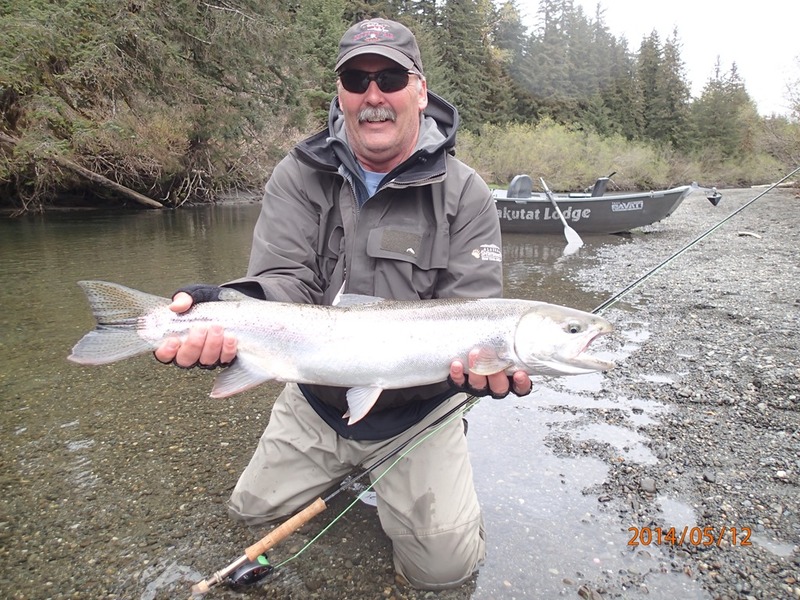 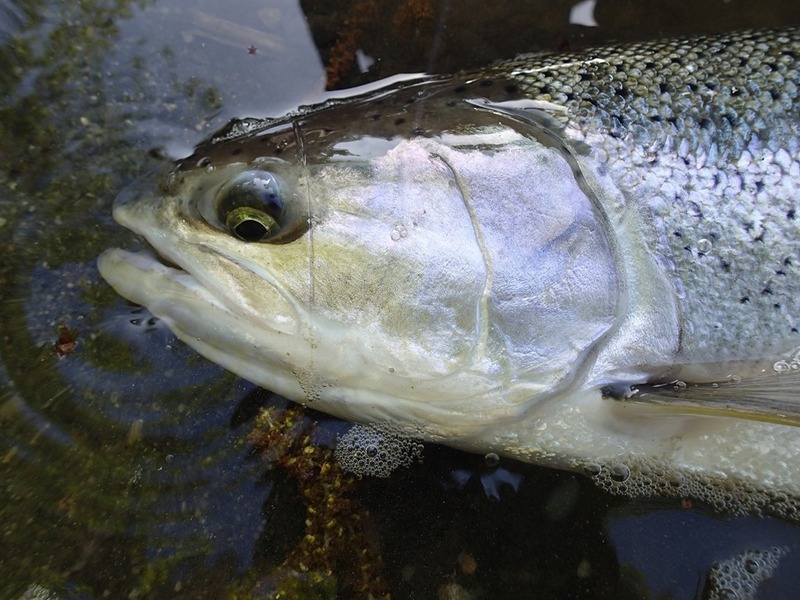 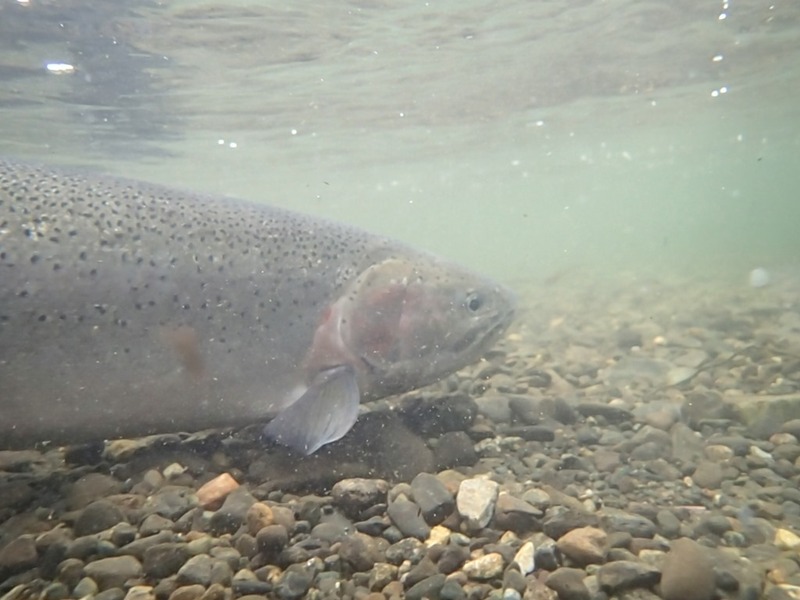 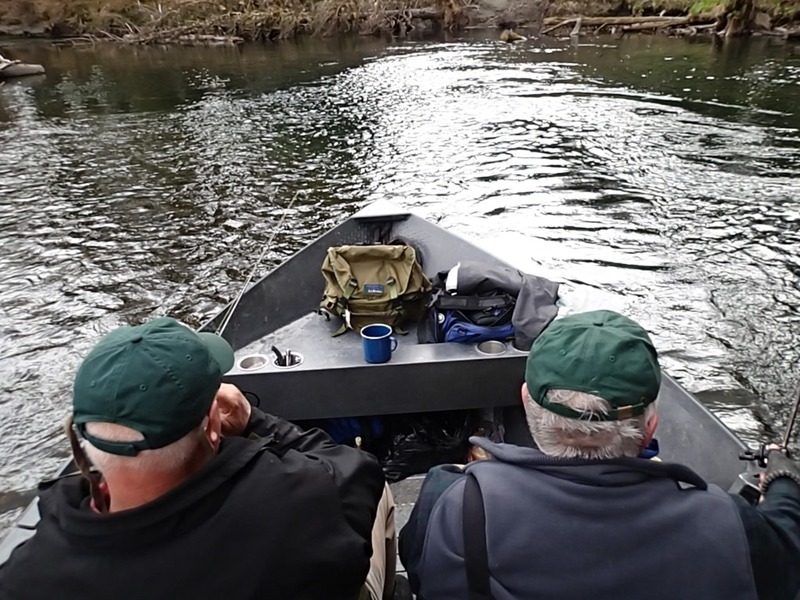 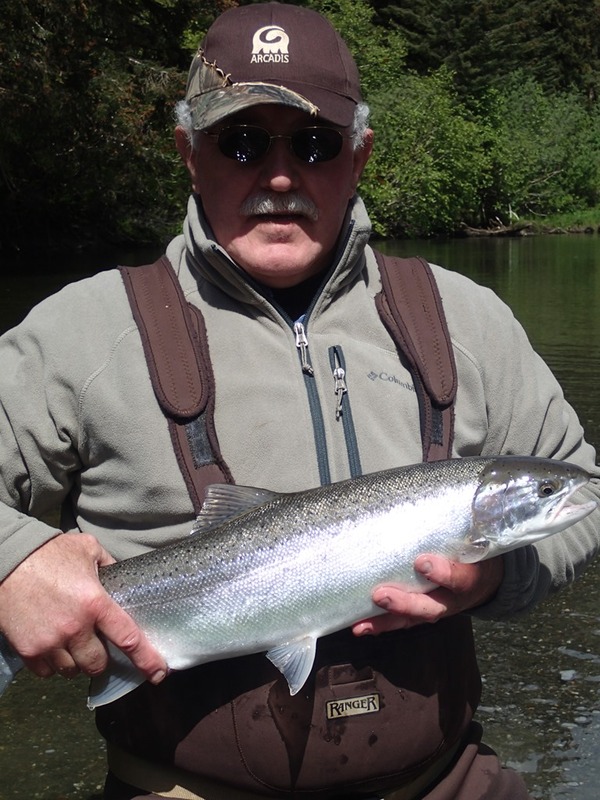 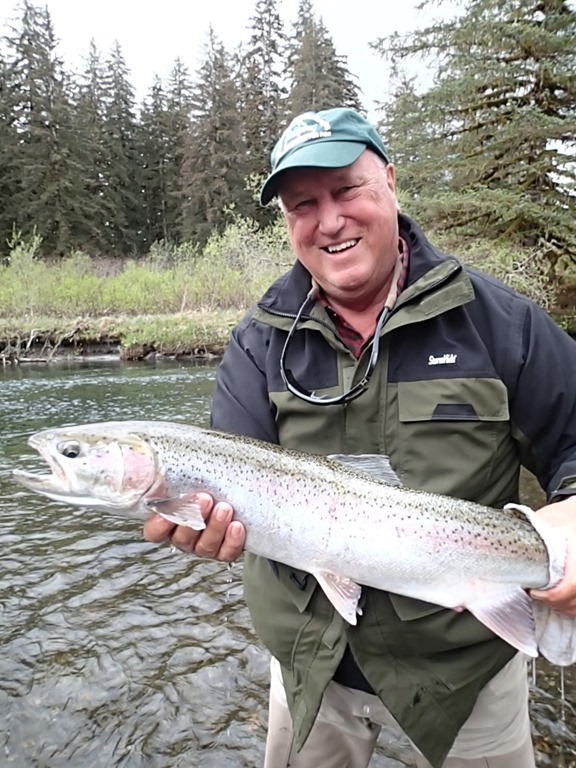 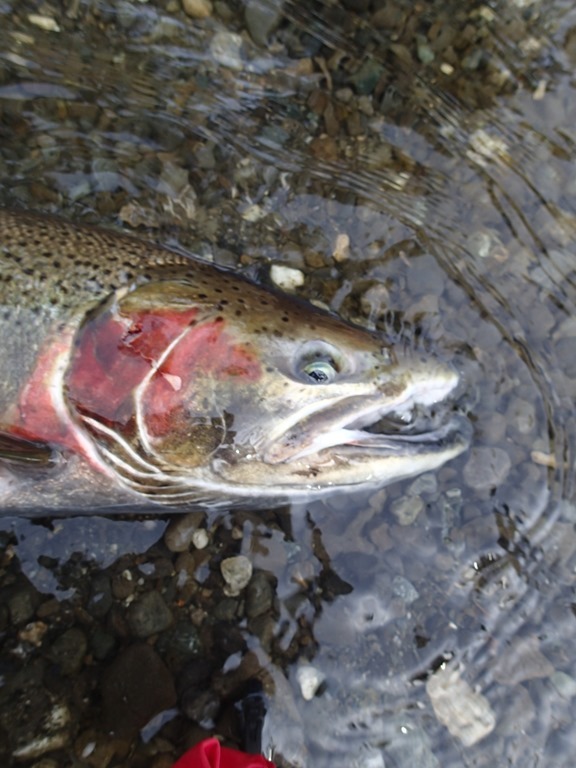 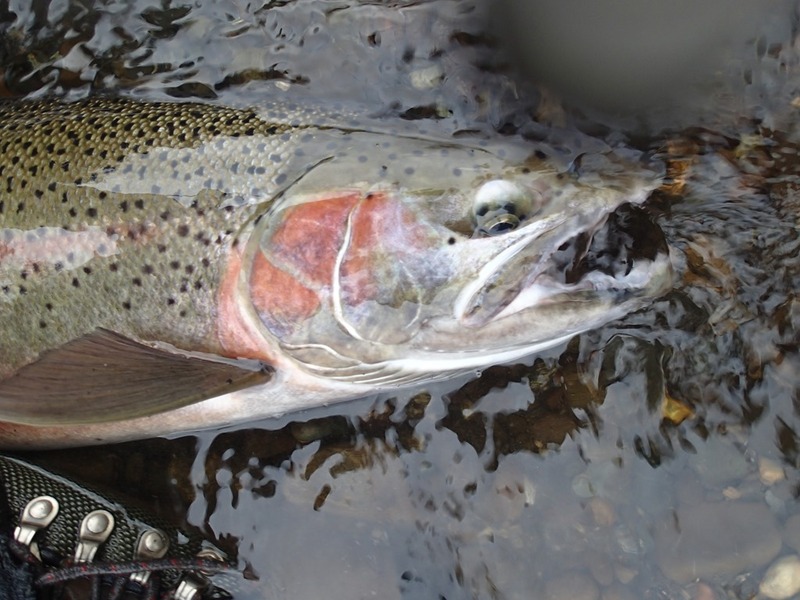 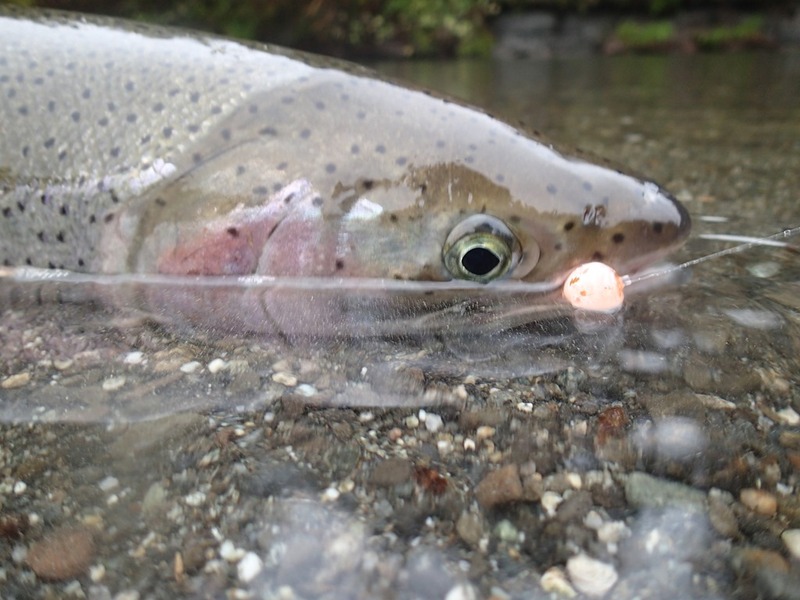 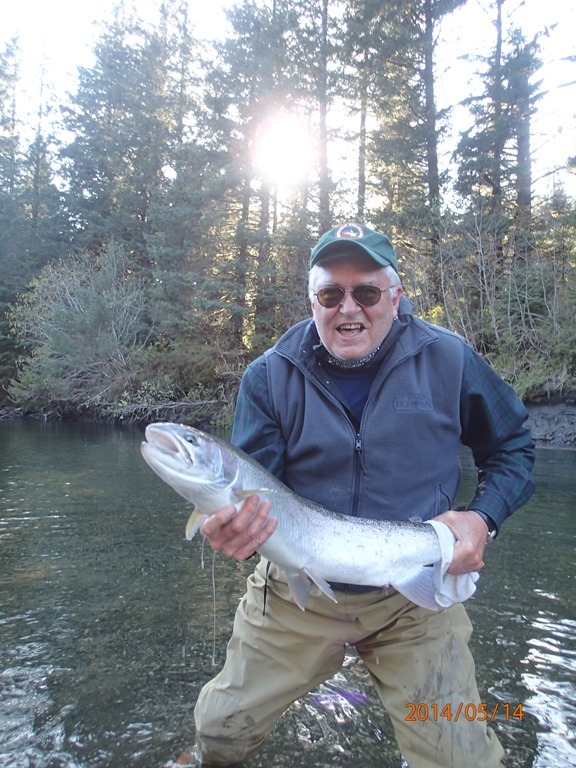 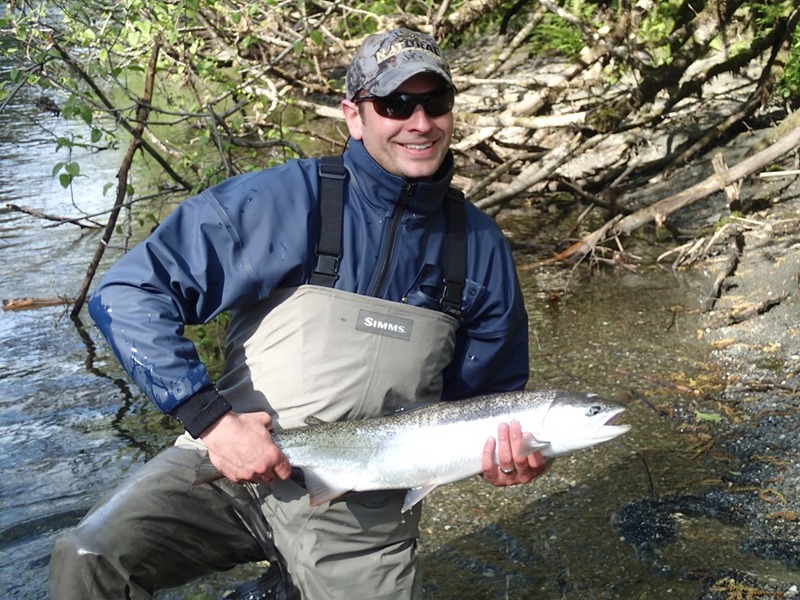 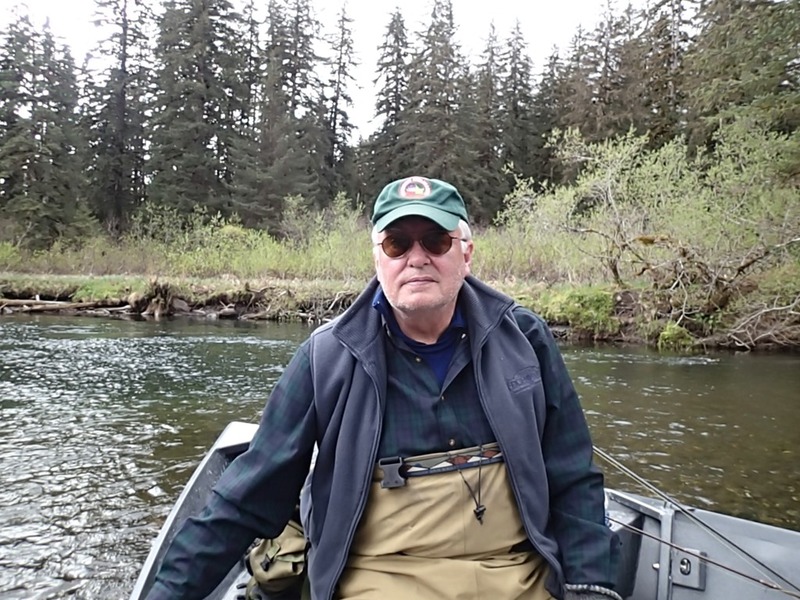 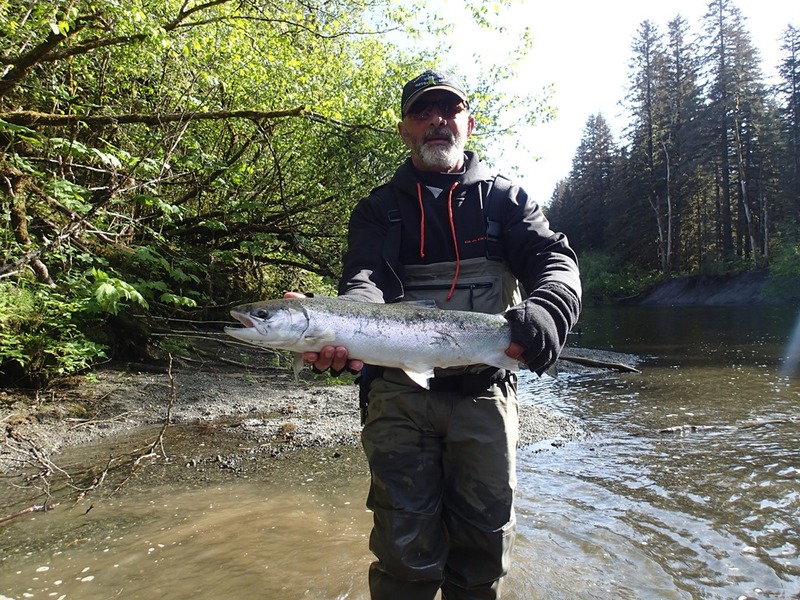 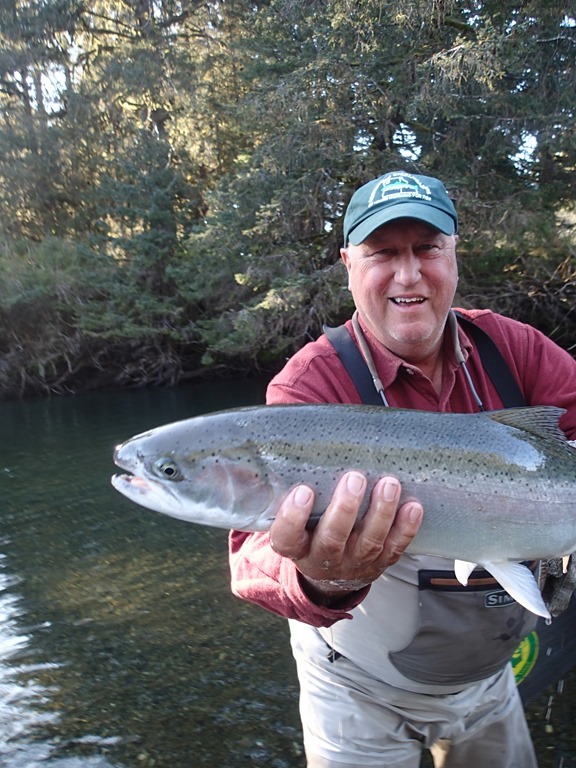 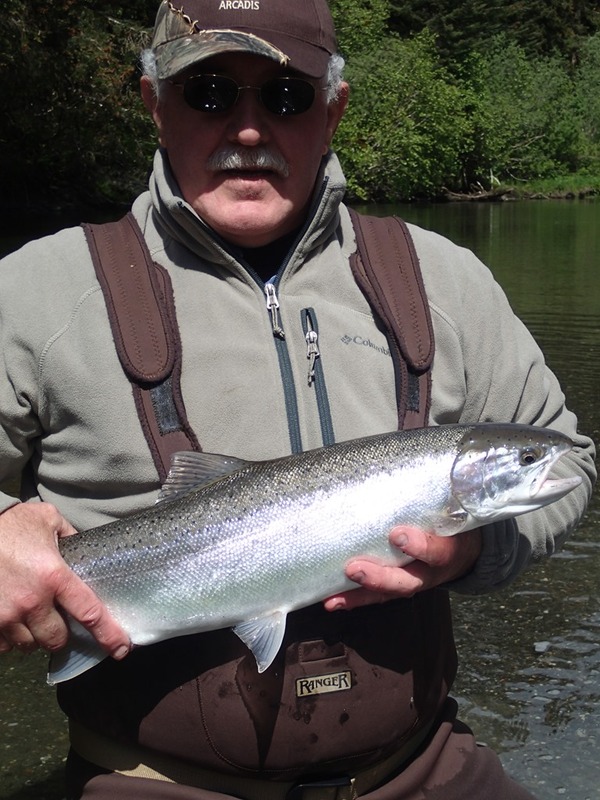 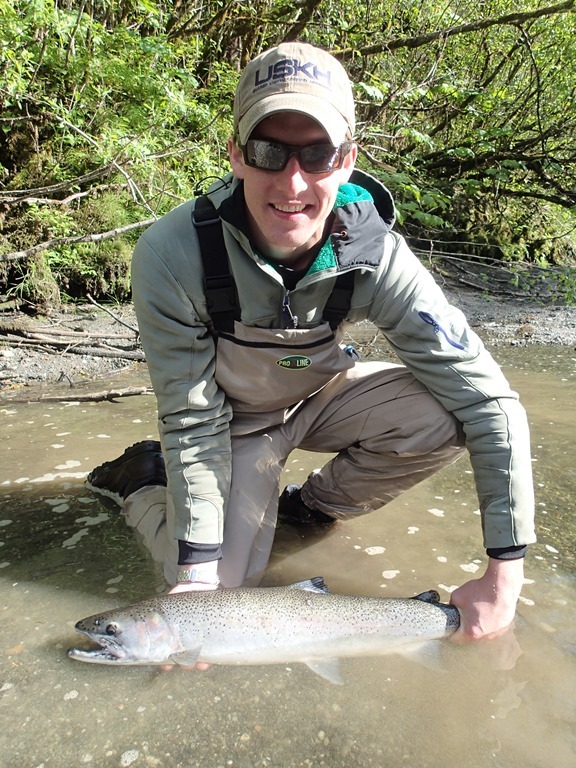 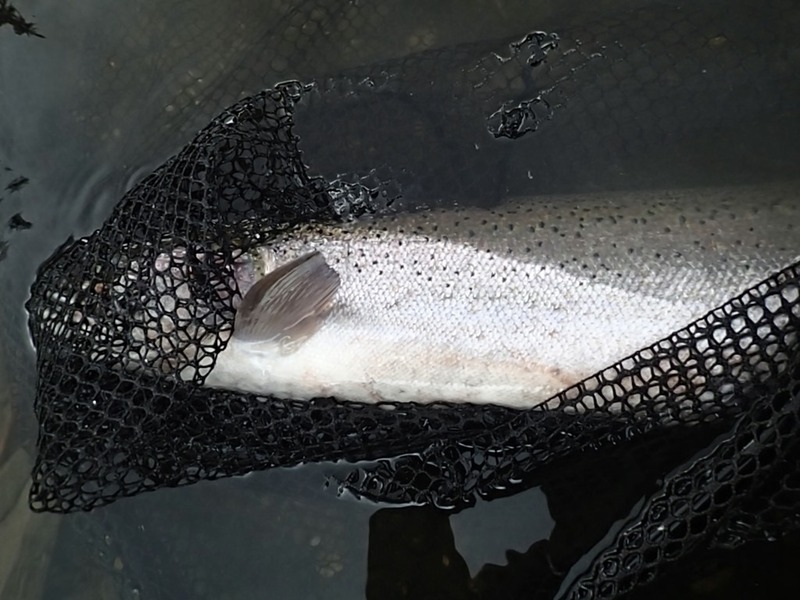 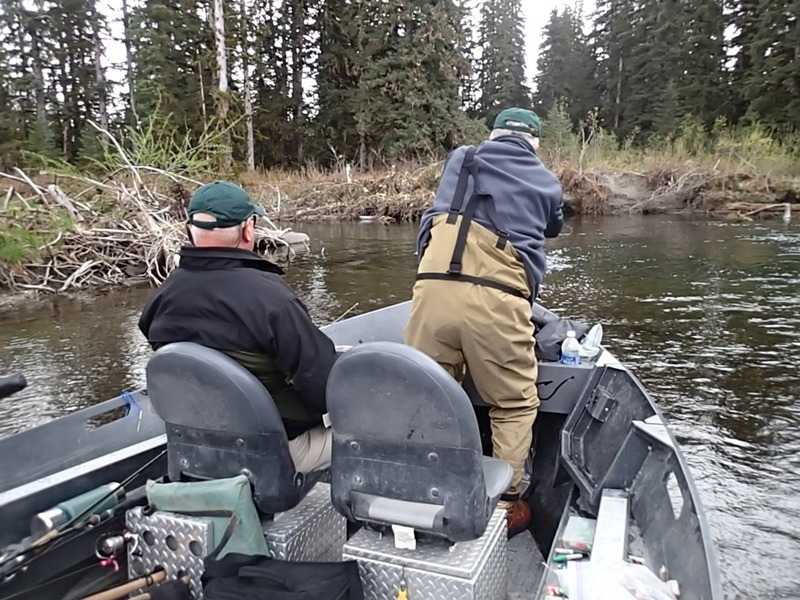 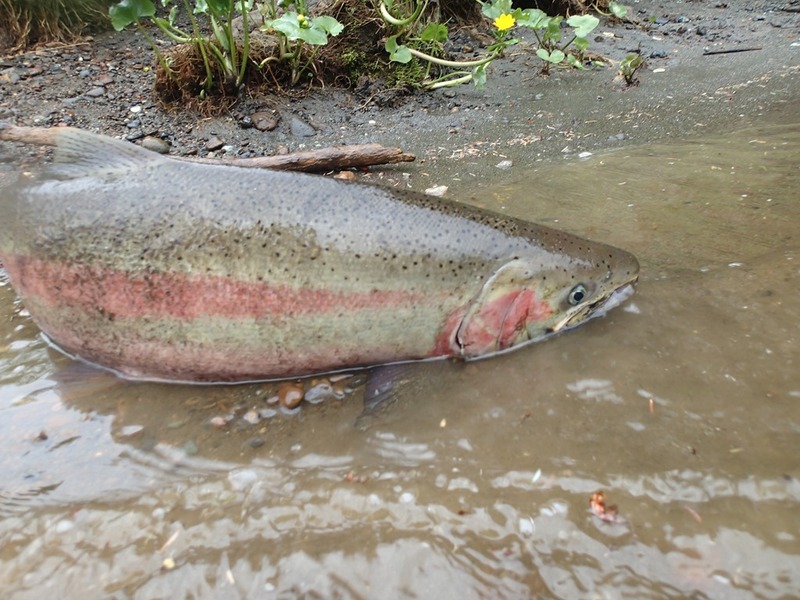 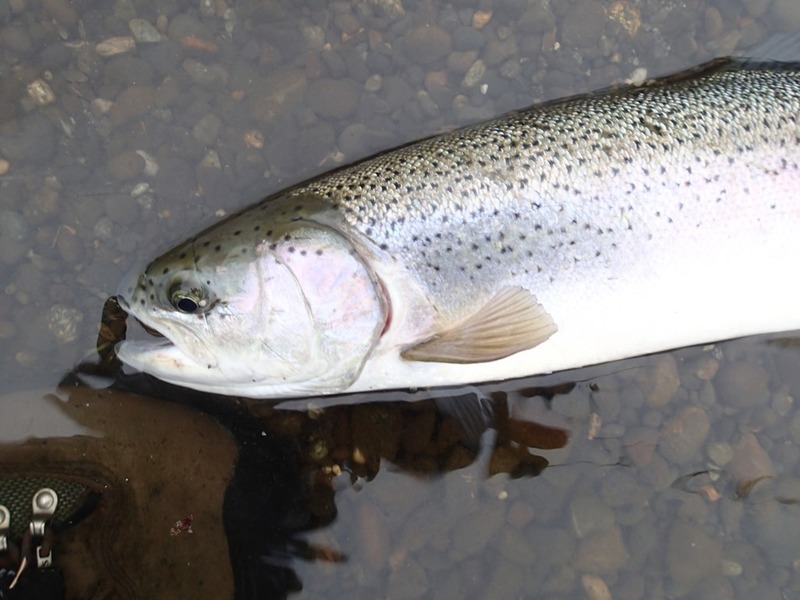 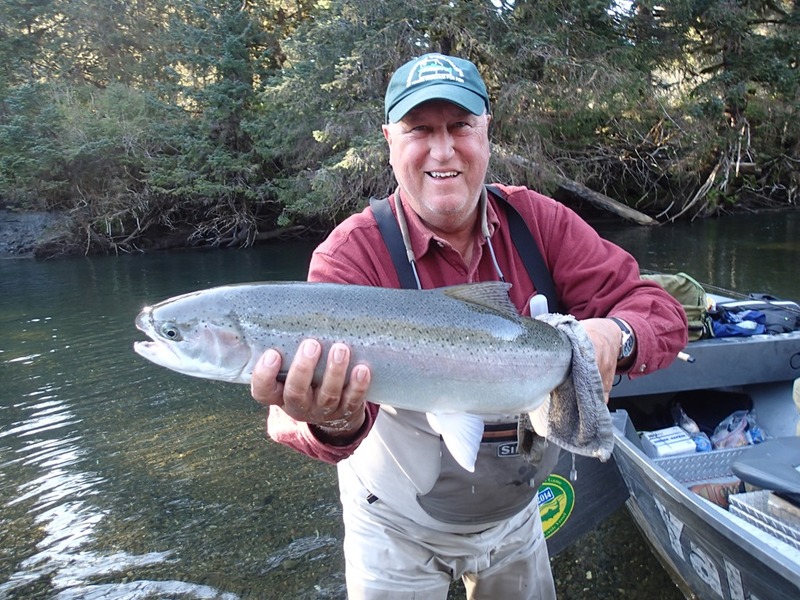 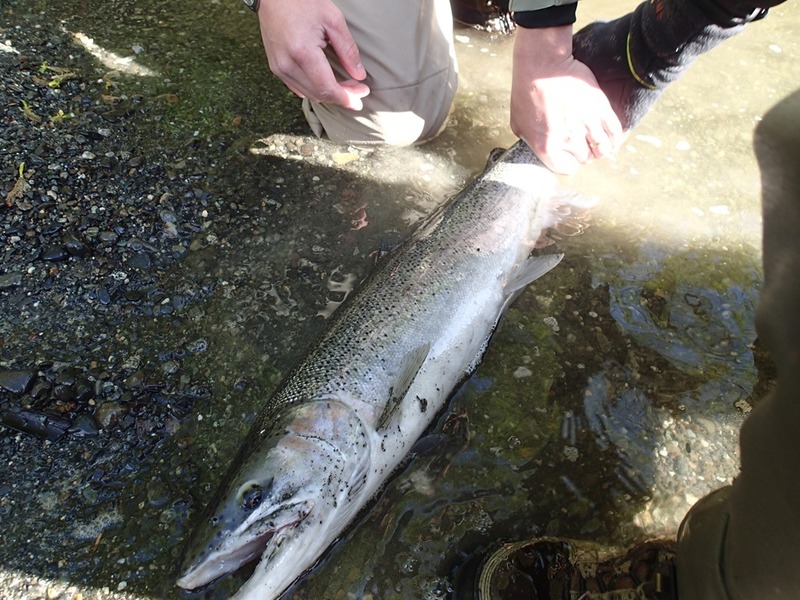 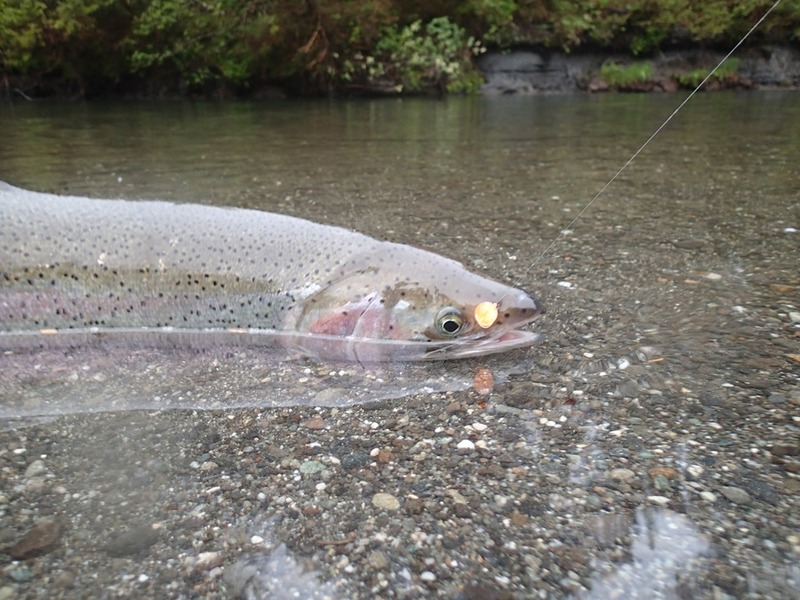 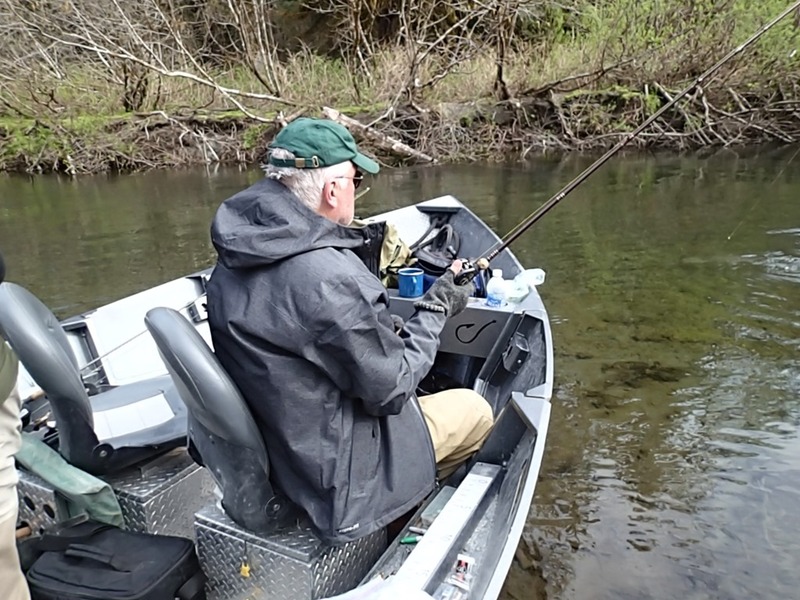 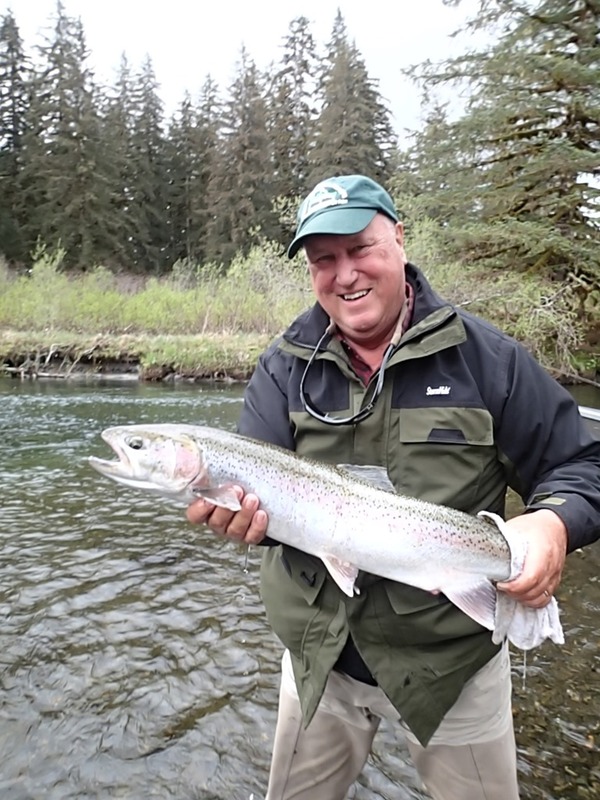 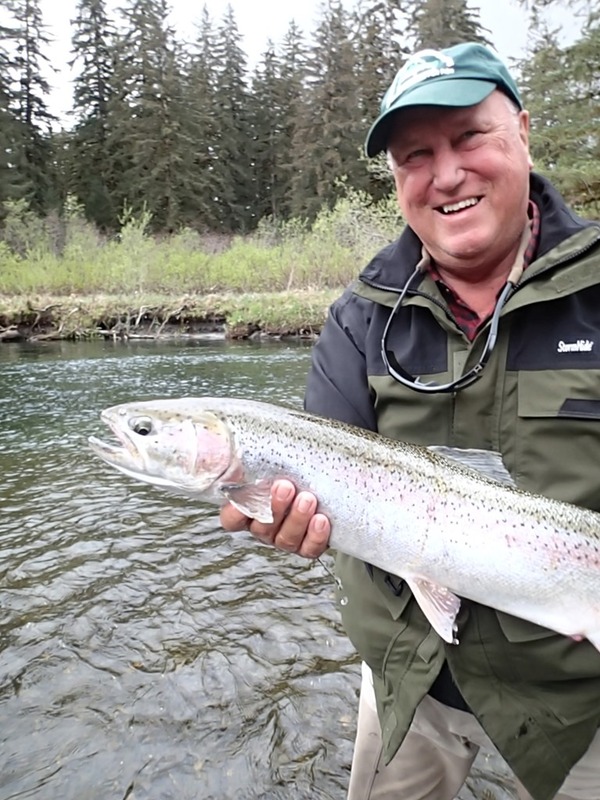 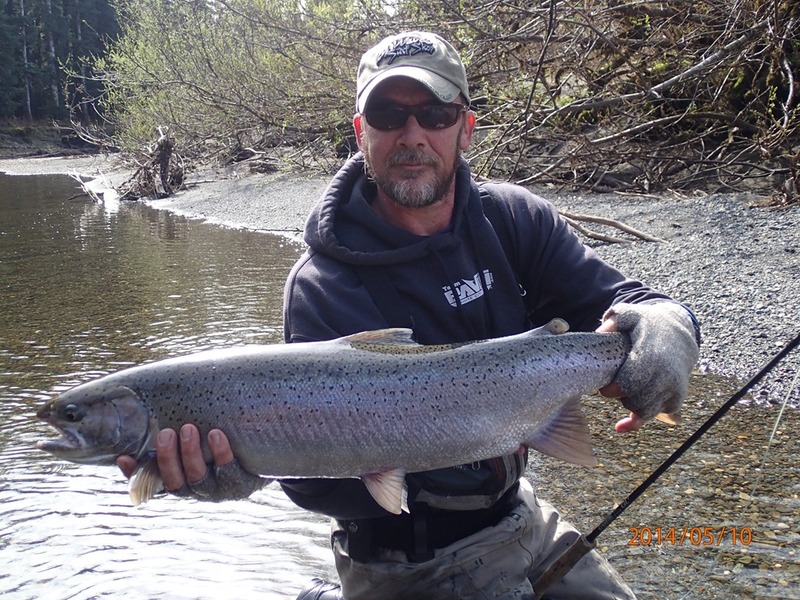 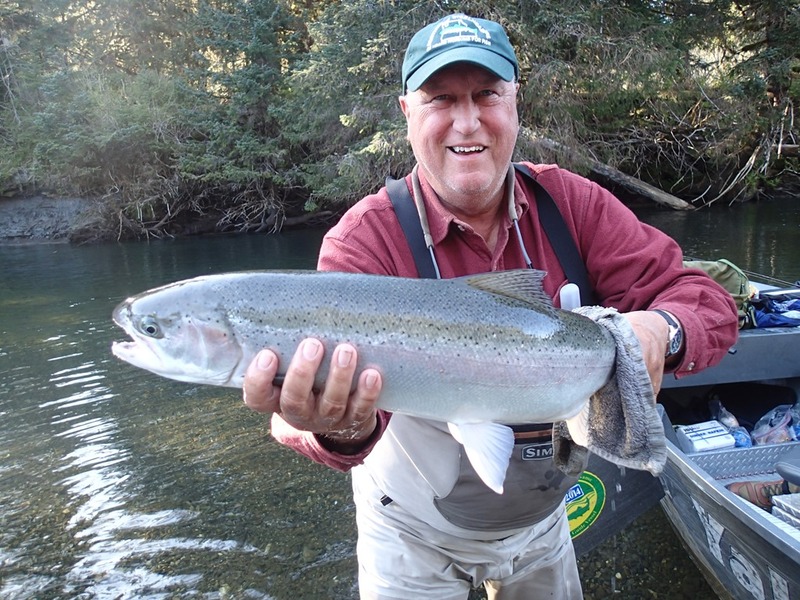 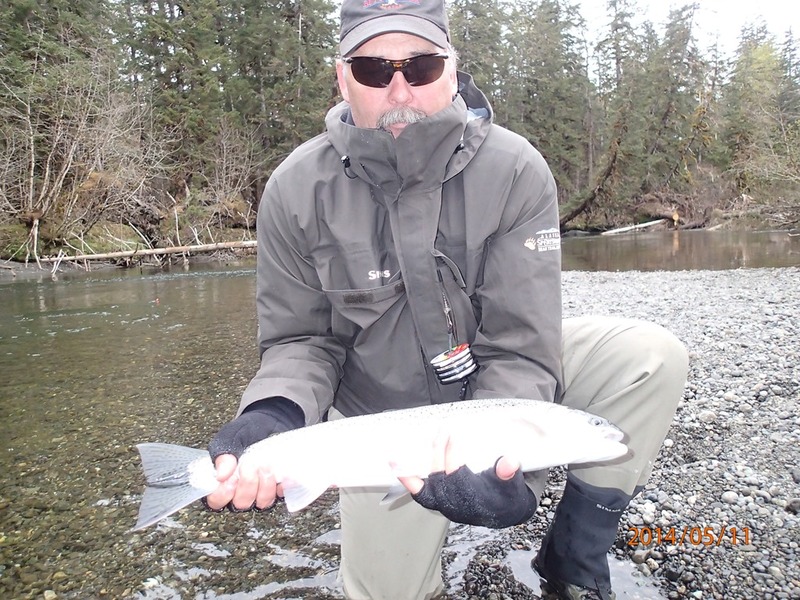 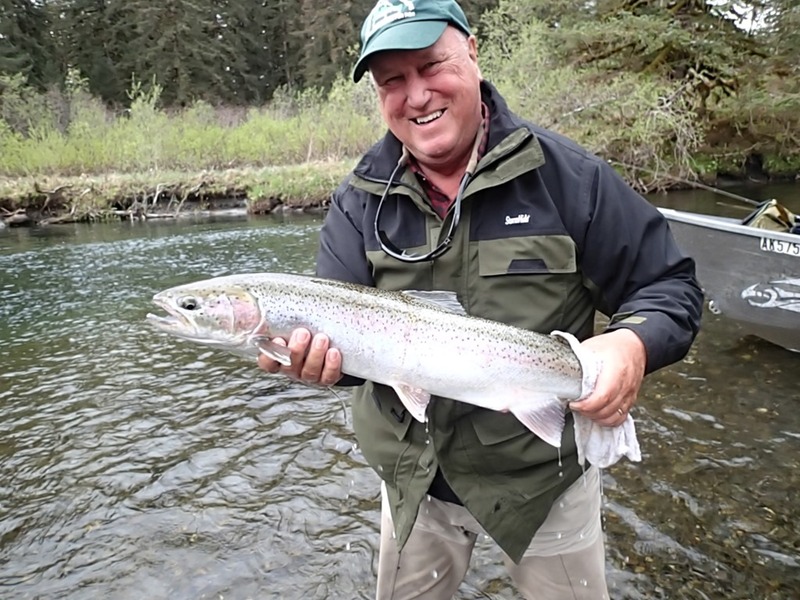 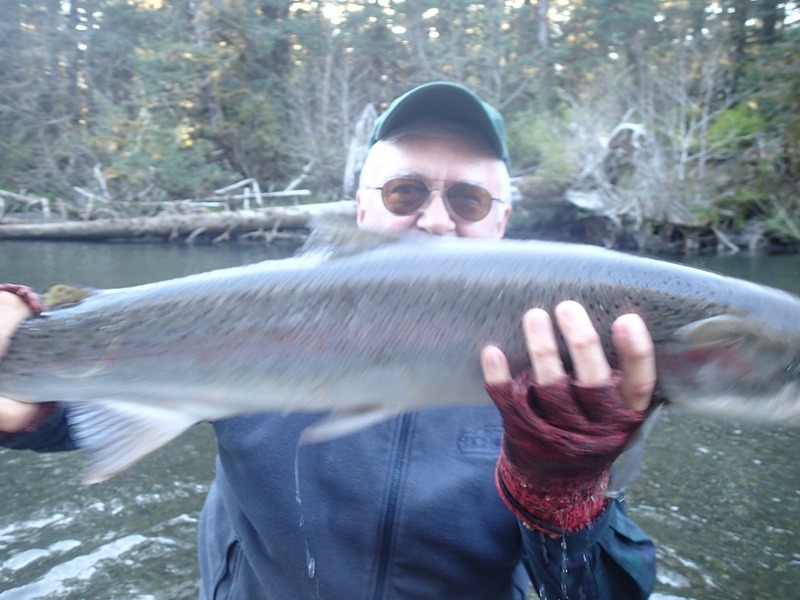 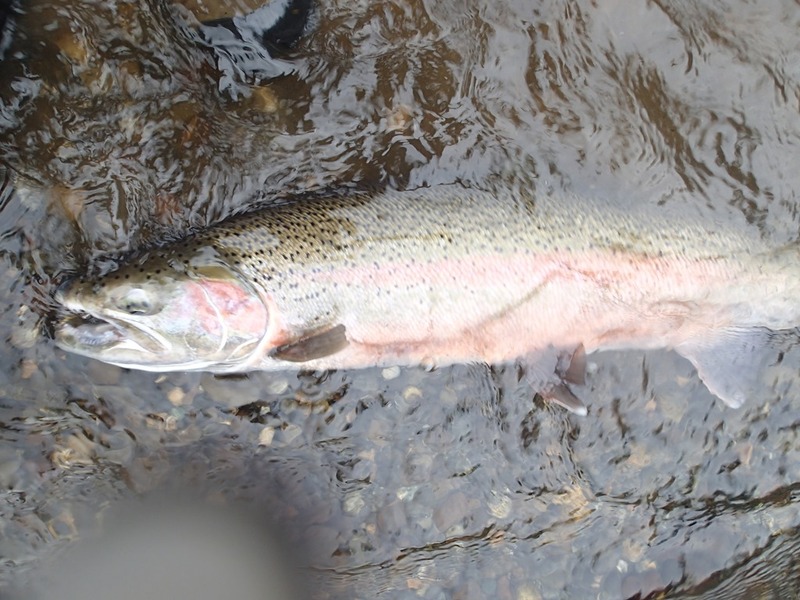 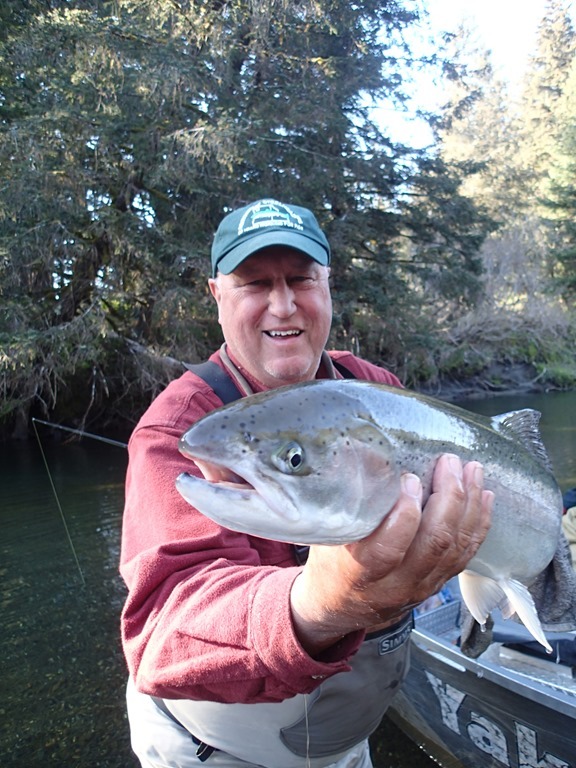 Was a bit slow for Steelhead due to low water conditions and unusually warm spring weather, but unlike Steelhead the Sockeye don’t mind a little bit of low water to make their run upriver, and they are on the move now. 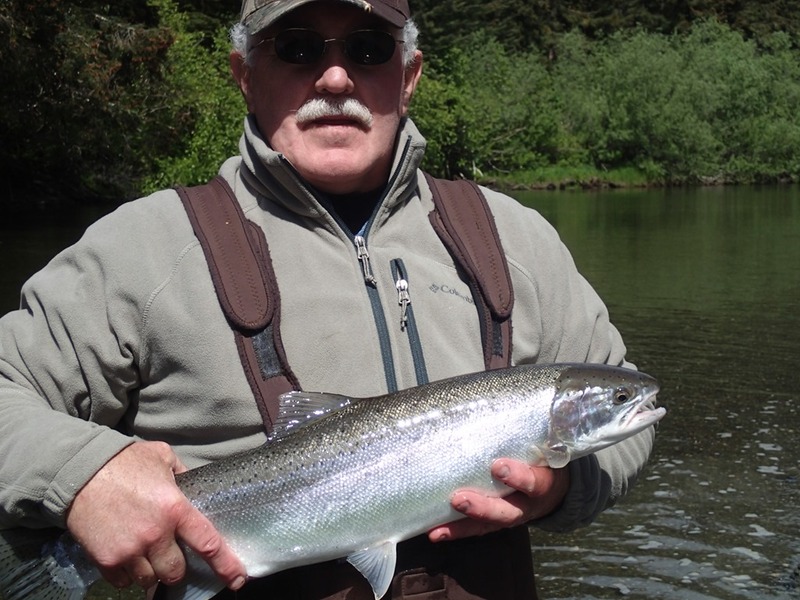 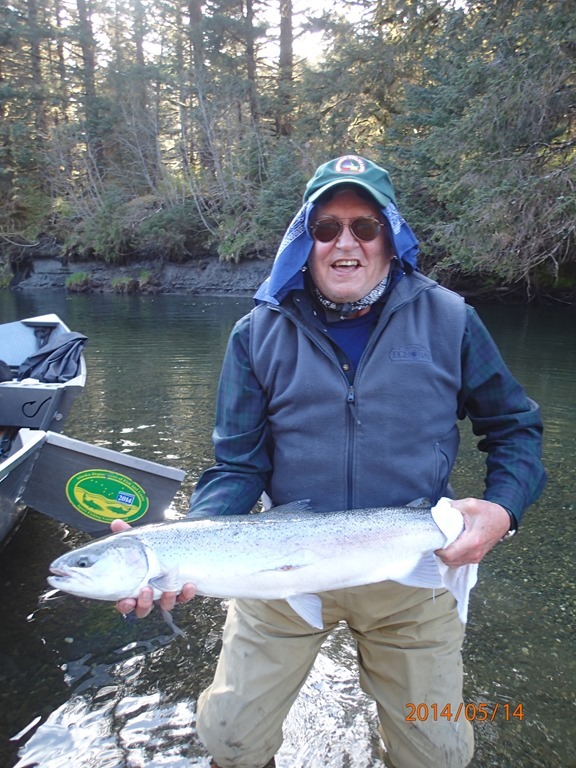 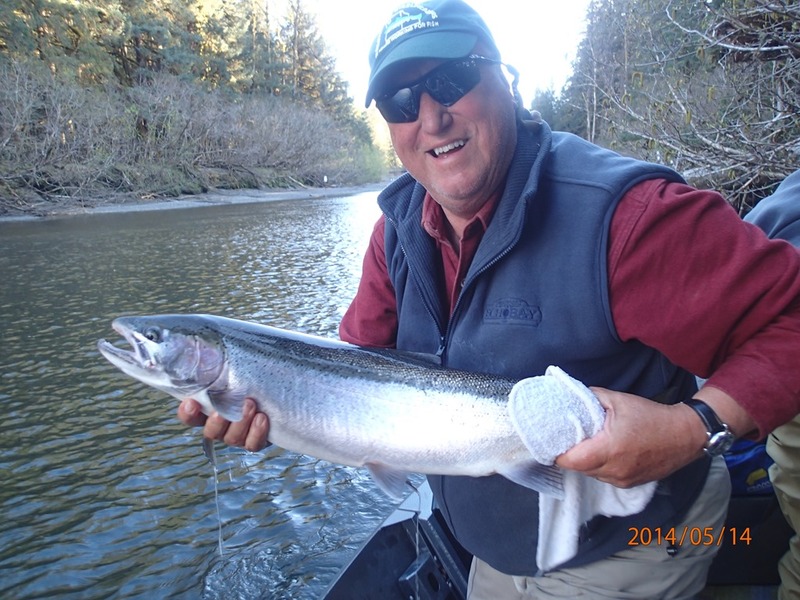 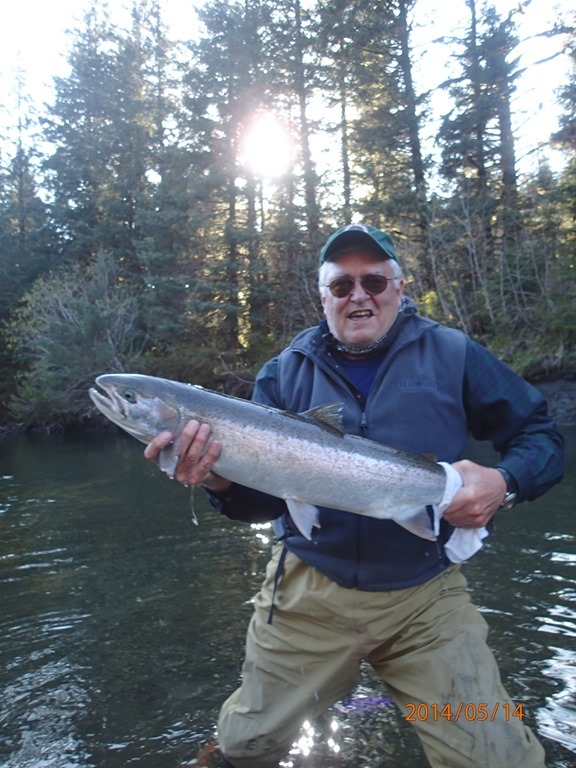 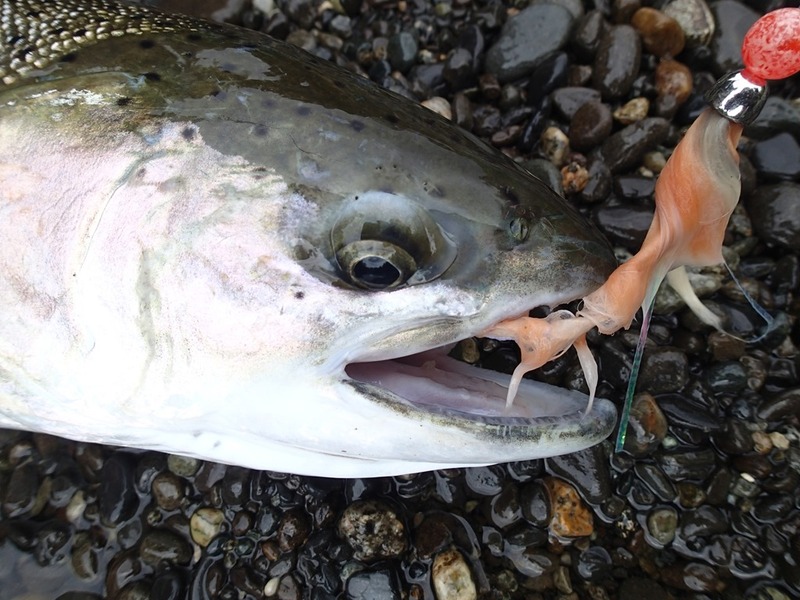 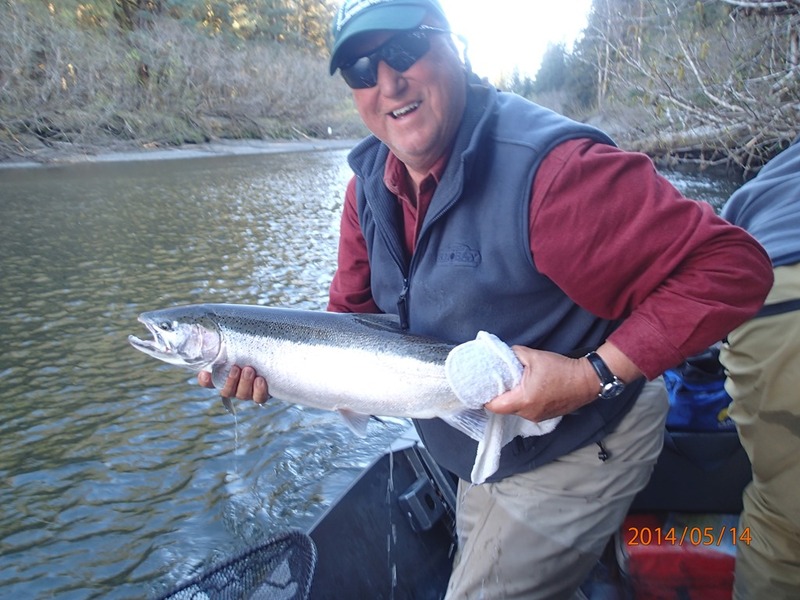 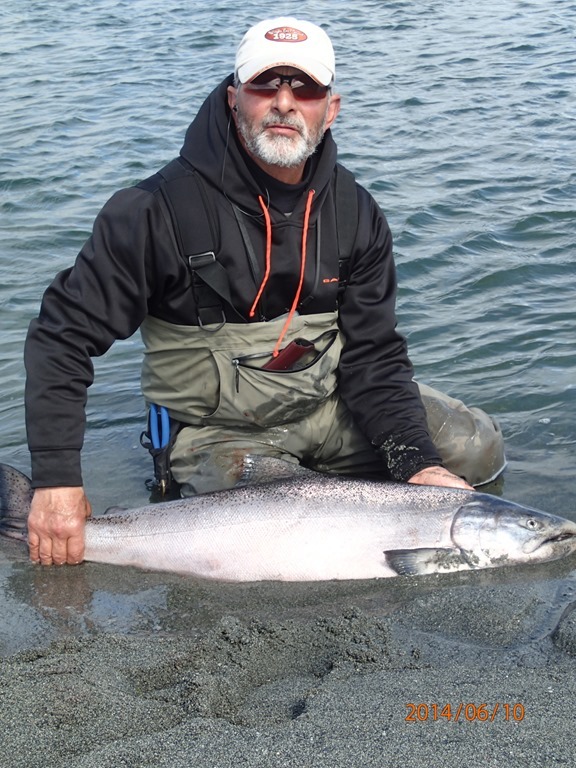 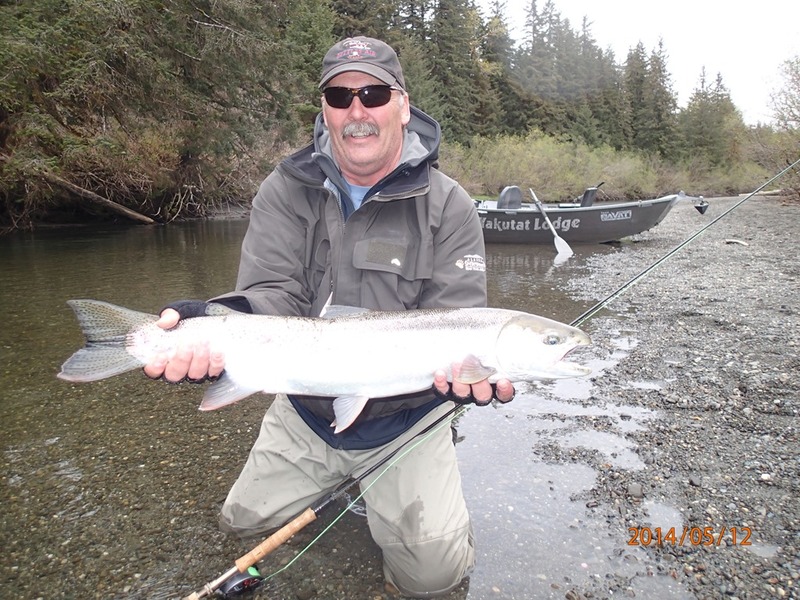 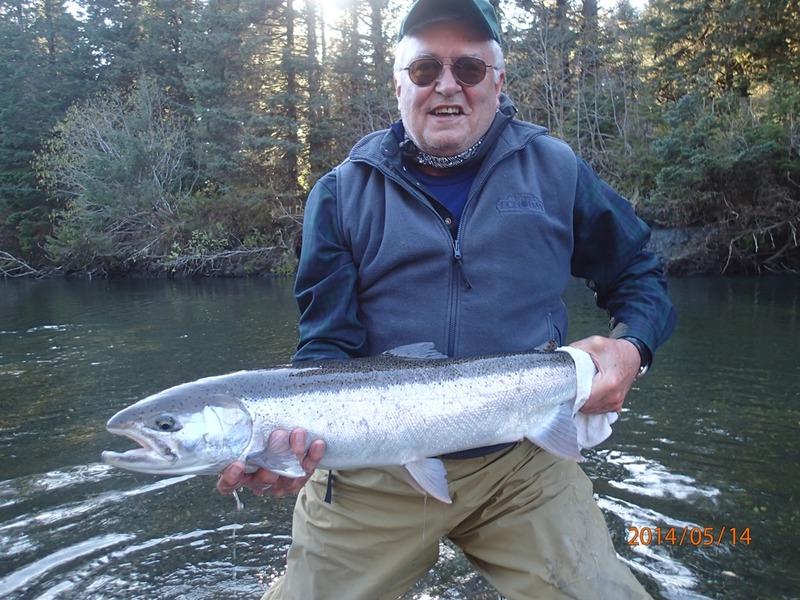 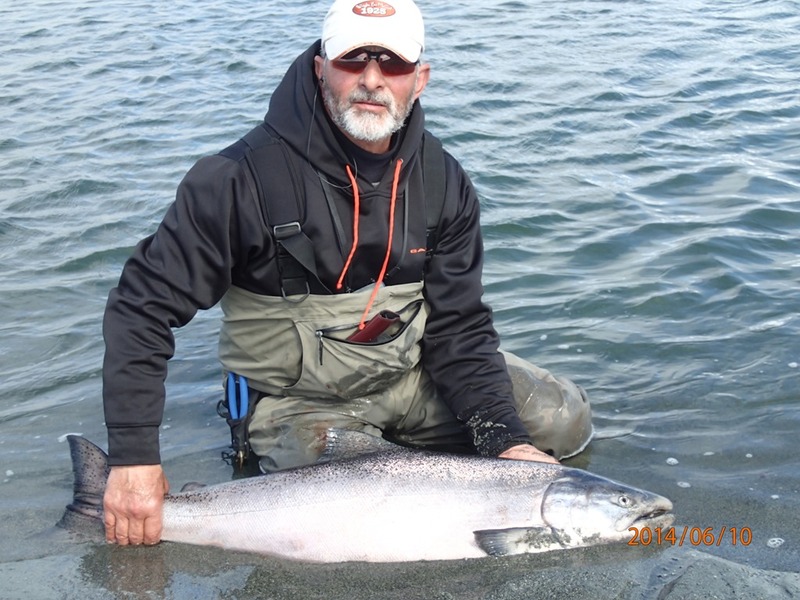 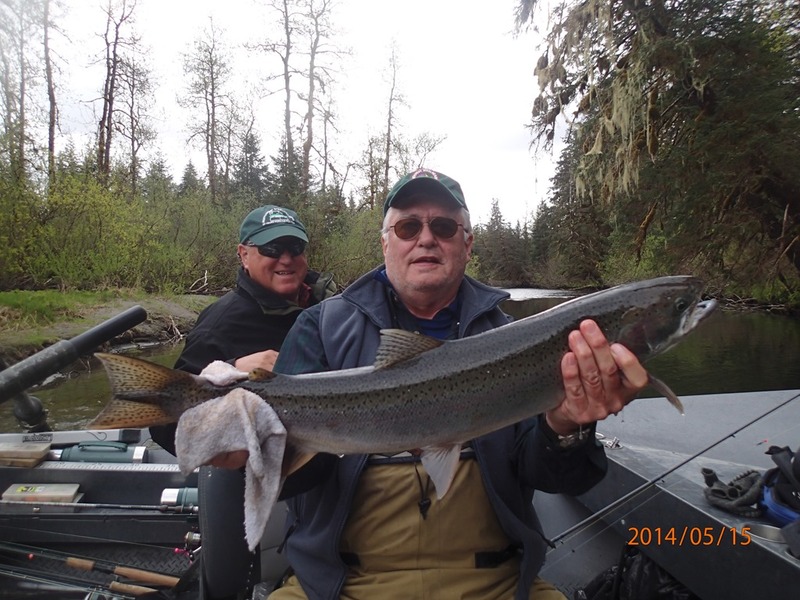 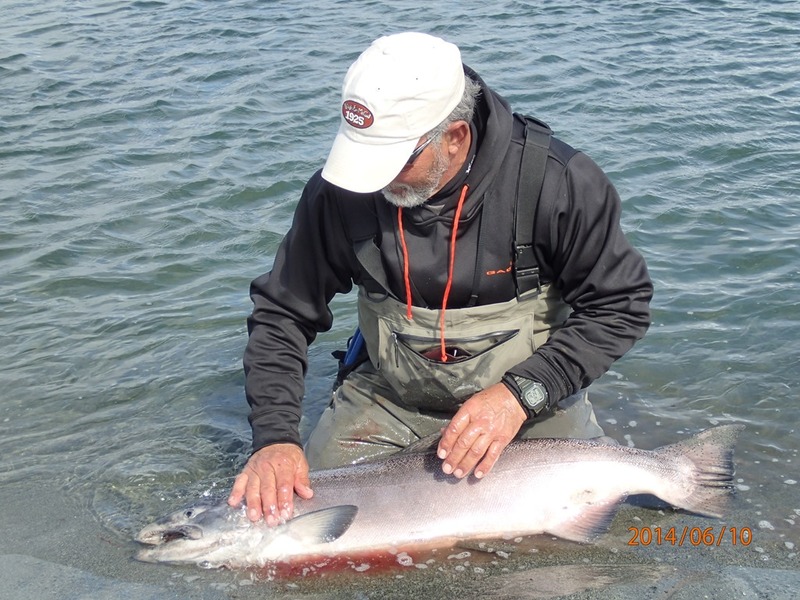 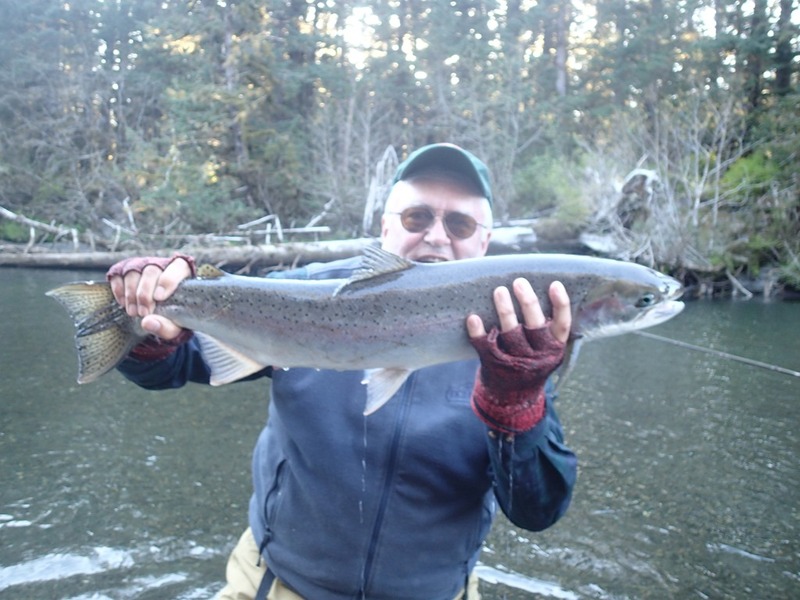 We are looking forward to good Sockeye season and then into a great Pink and Silver season. 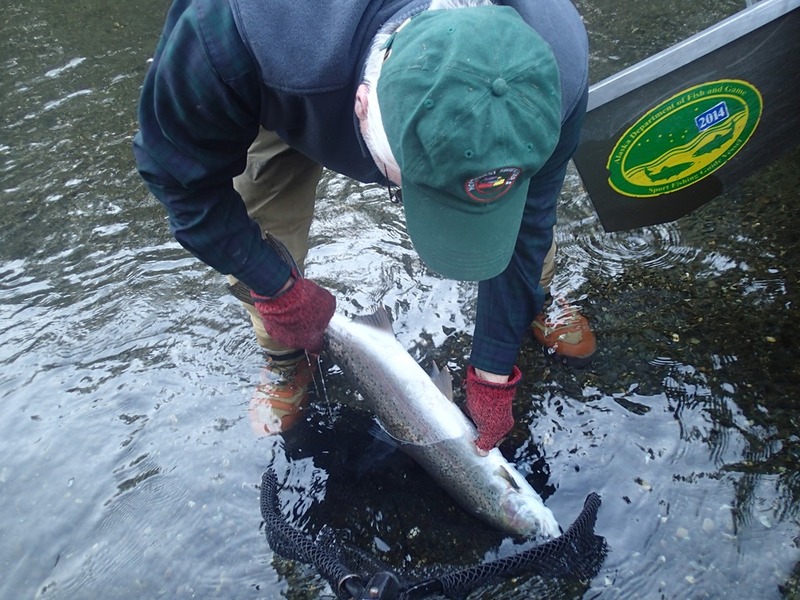 There are also large numbers of Dollies in the river during the Salmon runs. 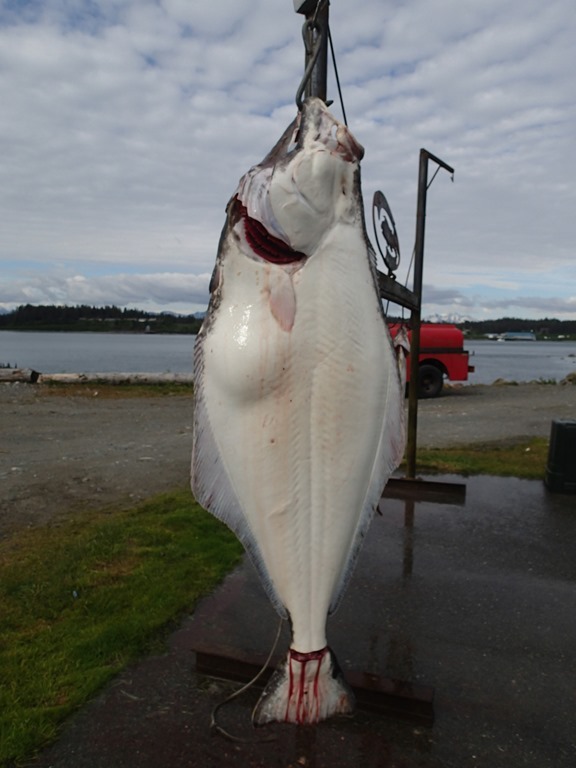 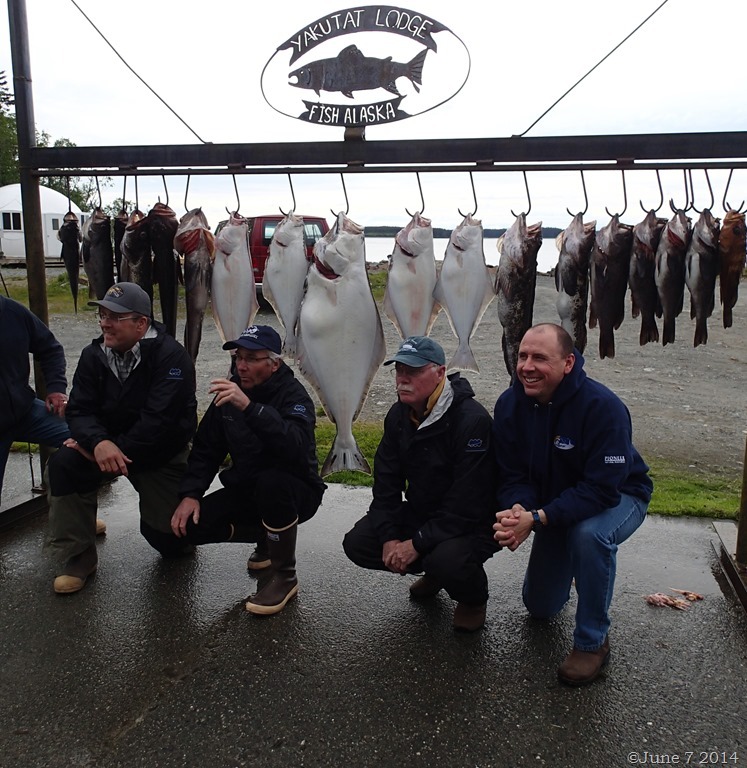 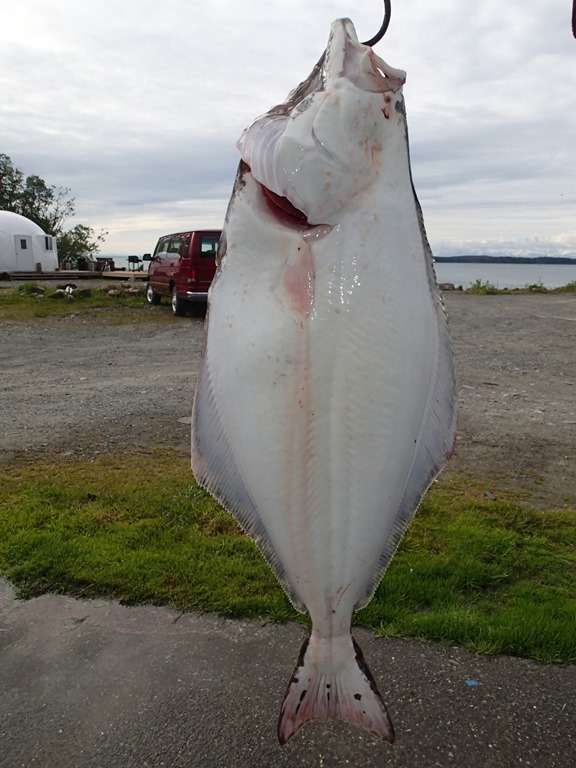 Halibut, Ling-cod, and Kings continue to produce in the Salt water, with a wide variety of rock fish including Yellow Eye. 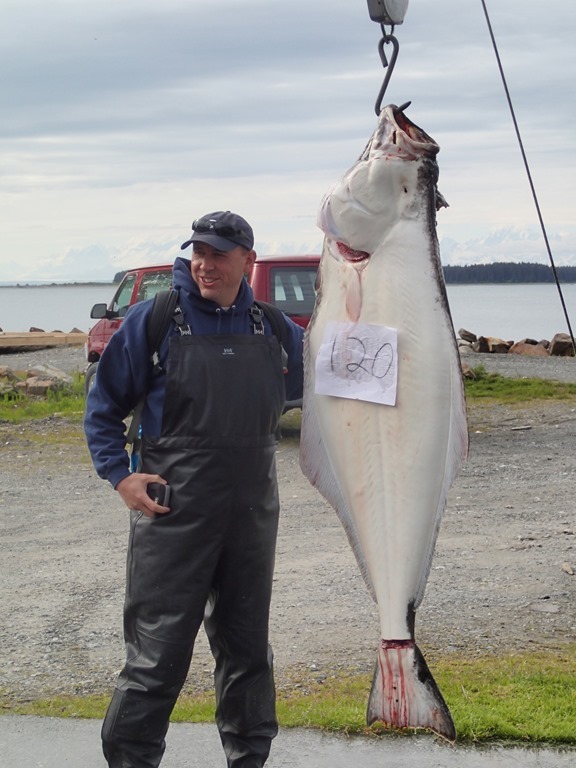 Call us at 907 784-3232.